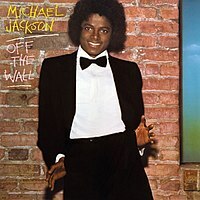 Following "Forever, Michael" was Michael Jackson's fifth album: Off the Wall. For this album Michael collaborated with many big names including Paul McCartney, Rod Temperton, Quincy Jones and Stevie Wonder. He even got an opportunity to write quite a few songs as well which includes the single "Don't Stop 'til You Get Enough". This collaboration did him well because it got four of his singles into the top 10 on the Billboard chart. He also won a Grammy Award which he had not seen since the earlier years. The album itself sold, worldwide, 20 million copies and was labeled as going 8 times Platinum within the US. This was a huge accomplishment from his past albums and was a launch into even greater success. It was an album that could be described as full of pop, disco-pop, jazz, funk and even soft rock.